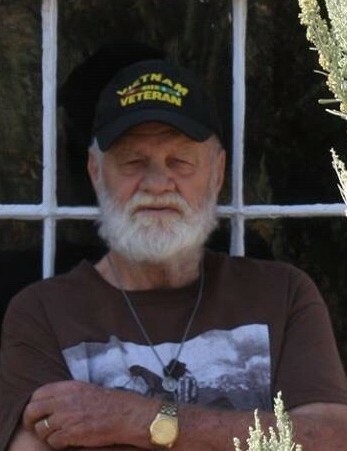 Thomas J. Burger Sr., 80, of Great Falls, passed away on Sunday, March 17, 2019 at a local care facility of natural causes. For Family and Friends, a Graveside Service will be held at Mount Olivet Cemetery on Monday, April 15, 2019 at 11:00 a.m. with Bagpipes played by Jesse Collender and Military Honors performed by the Malmstrom Air Force Color Guard and the local VFW Post 1087. Tom was born on Aug 8, 1938 in Williamstown, PA to Ralph Burger and Eleanor Doyle Burger. 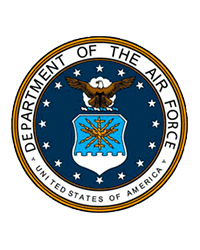 After completing Dauphin, CO High School; Tom joined the U.S. Air Force. He met his wife Marjorie at a dance in Lethbridge, Alberta CA and they married on February 17, 1960. Their family was blessed with four children, Jody, Tom, Nancy and David. His family resided in Canada while Tom was stationed elsewhere, proudly serving from 1956 -1977. Tom was engrossed in the Vietnam War and distinguished himself for meritorious achievement and service earning the Air Force’s Commendation Medal. He retired from the Air Force in 1977 and returned to Great Falls, MT. where he owned and operated the Burger Cleaning Service. Tom greatly enjoyed volunteering as Santa for local schools. He also loved fishing, participating in square dance parties with his wife, and hunting and camping with family and friends. Tom was also an avid story teller, relishing in every opportunity to share tall tales from the past. Smoking since the age of 3, Tom lived a long full life. Survivors include his son, David Michael (Bridgette) Burger; daughters, Jody Lynn (Jim) Mintsiveris. Nancy Marie (Gary) Poore; sister, Elaine Croft; 10 grandchildren, Jennifer, Bill, Tom, Ann, Dawn, Laura, Michael, Joseph, Dylan, Rylee; and 15 great-grandchildren, Lincoln, Khloie, Walter, Bryan, Logan, Easton, Ashton, Tanna, Mylee, Ayden, Samuel, Ethan, Matthew, Aspen, and Annabelle. Those who preceded Tom in death include his parents, Ralph and Eleanor Burger; wife, Marjorie Burger; son, Thomas Burger; and brother, Kenneth Burger.